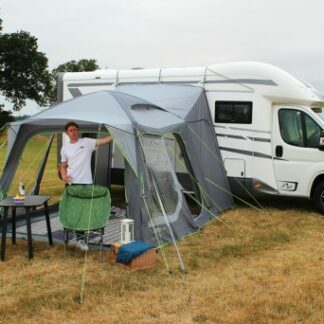 Lightweight and spacious, the Outdoor Revolution Cayman Air is an ideal driveaway awning for those who want an awning that can be erect by one person for a short stay at the campsite. 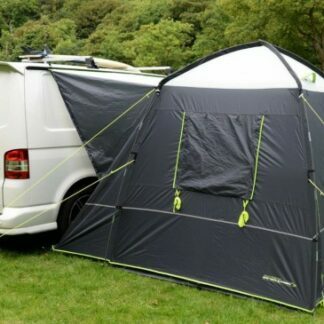 It is has a single point inflation meaning that all you have to do is peg down the four corners, inflate using the pump provided and hook up to your van. 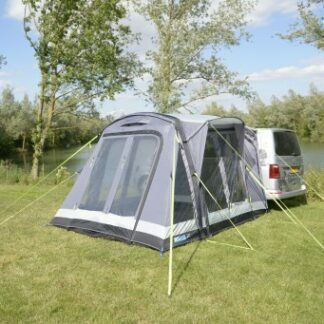 Designed for the tourers who want to be able to move campsite from day to day or those want to escape to the countryside at a moments notice. 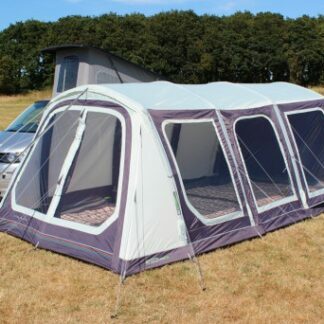 The 3m x 3m internal space gives you a space to relax under or use as storage during the day. 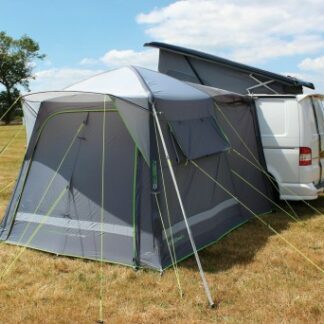 It will fit onto vehicles from 180cm up to 240cm in height, making it ideal for VWs and smaller style vans. 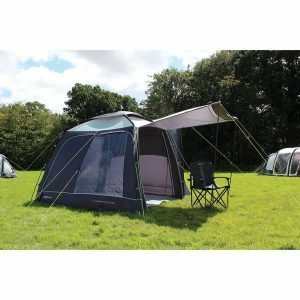 Fibreglass Front Eyebrow Canopy provides a small front canopy/porch extension with shelter against the elements. Rear Cowl Height Tensioning Adjusters which tightens excess tunnel fabric preventing water pooling, if on the lower end of the height range spectrum. Includes Pegs, Endurance Storm Straps, Guylines, Repair Kit, Carry Bag, Lumi-Link/Lumi-Lite Attachment Points & Dual-Action Hand Pump. 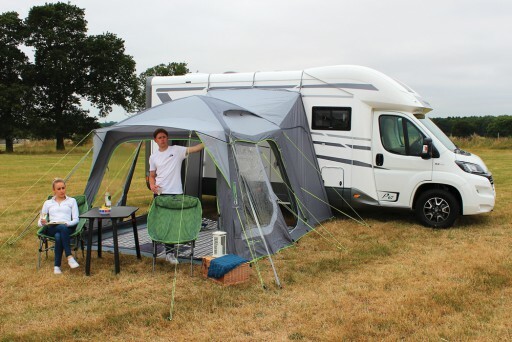 The Movelite T2 inflatable driveaway awning has been updated and improved upon for 2019 to give you the best experience possible. 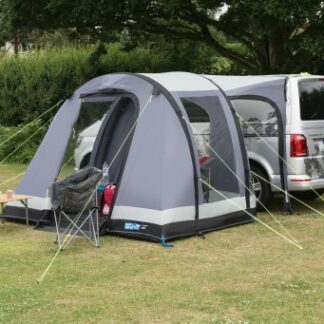 Quick and easy to set-up, the Kampa Motion Air Pro VW provides you with a versatile and spacious awning, with the option to extend the space. 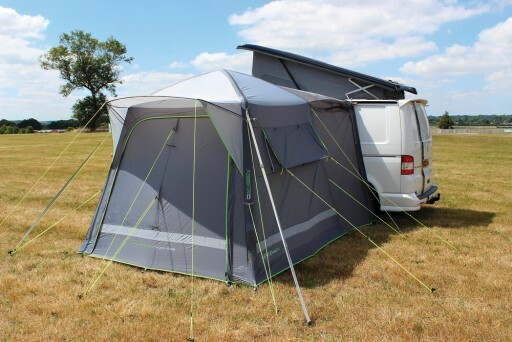 One of the most popular lightweight driveaway awning of 2018 is back, the Kampa Travel Pod Trip Air is for those who want a small outside space they can set up quickly and easily. 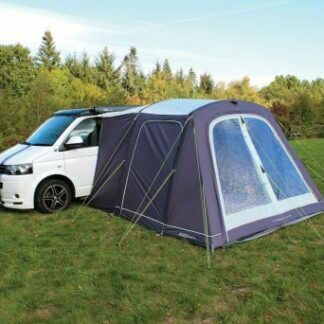 The Outhouse XL Handi has the addition of a rear cowl, which can be attached to a campervan to function as a drive-away awning. Rear Cowl Height Range: 180cm - 240cm Please contact us regarding availability of this item. 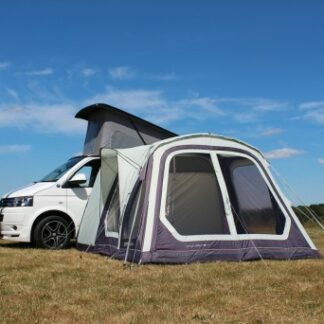 The largest inflatable driveaway awning available from Outdoor Revolution, the Movelite T5 Kombi grants you a spacious interior and open floor plan for any holiday.